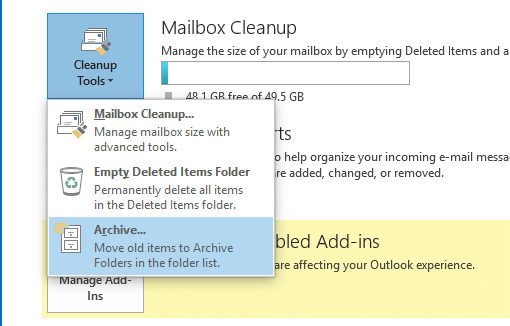 In this article we will show you how to archive your emails in Outlook 2013. The most common reason for archiving your email in to a separate PST file is if your mailbox is full. 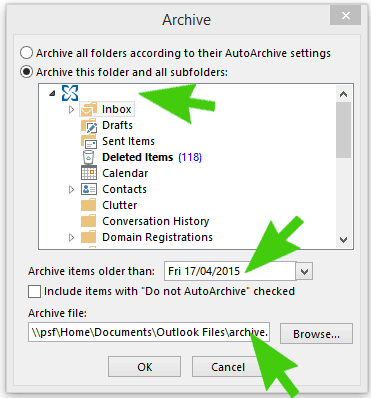 Please note this article is regarding manually archiving your Outlook 2013 email and not about the Auto Archive feature. Once complete the emails which have been archived will no longer show in your main mailbox but in a separate file in the sidebar from your main mail view.